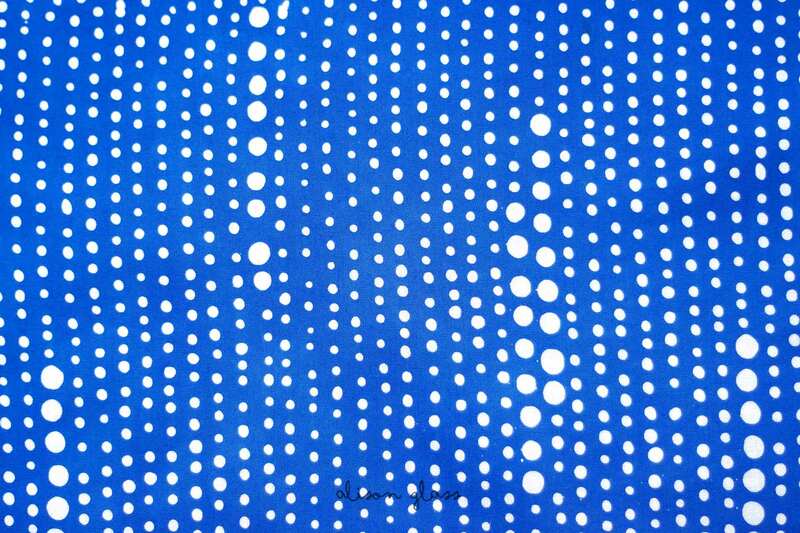 Scatter is similar to a border print from earlier Handcrafted collections. 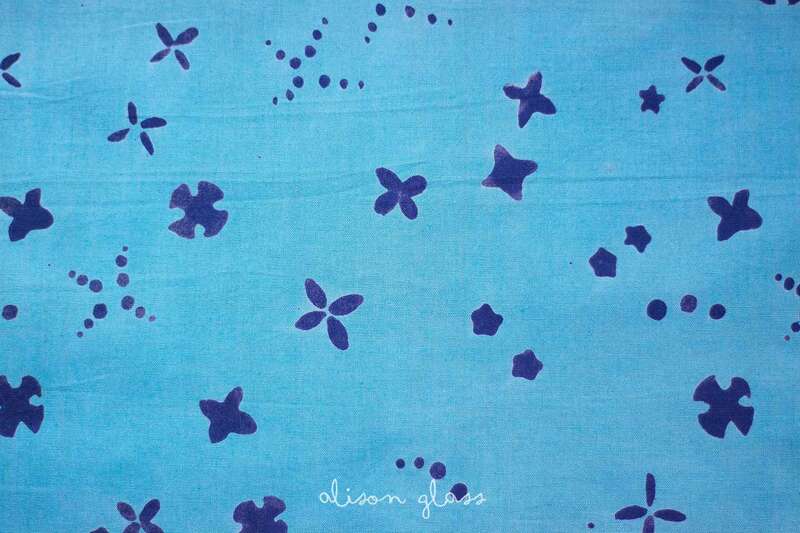 In this incarnation has a loose all over organic small floral design. 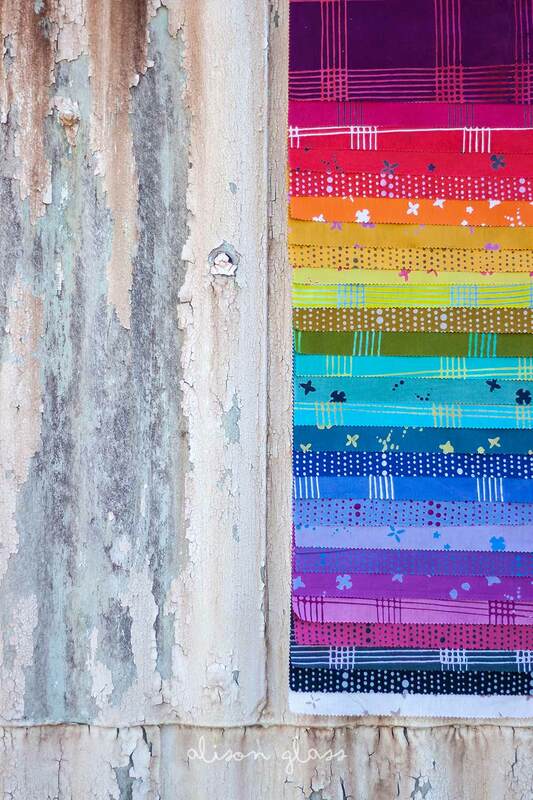 It is pure sweetness in nine colors! 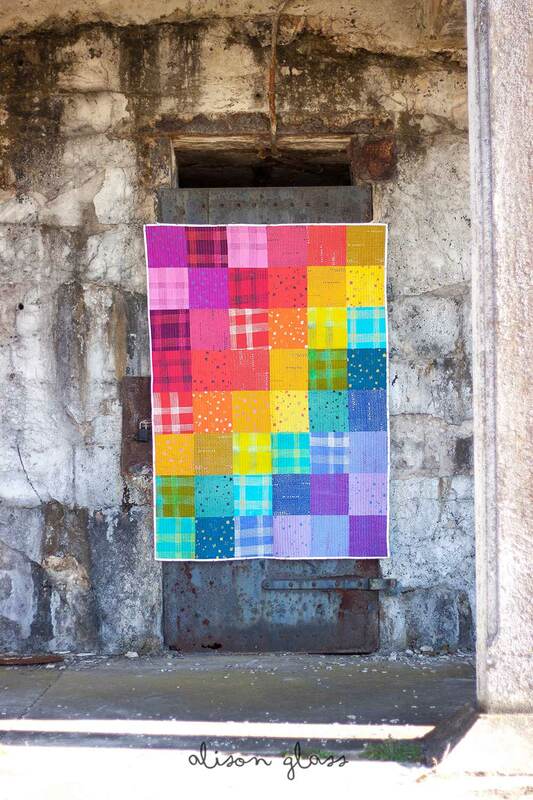 Sometimes a simple patchwork of squares is all you need to showcase a beautiful spectrum of color in a fabric collection. 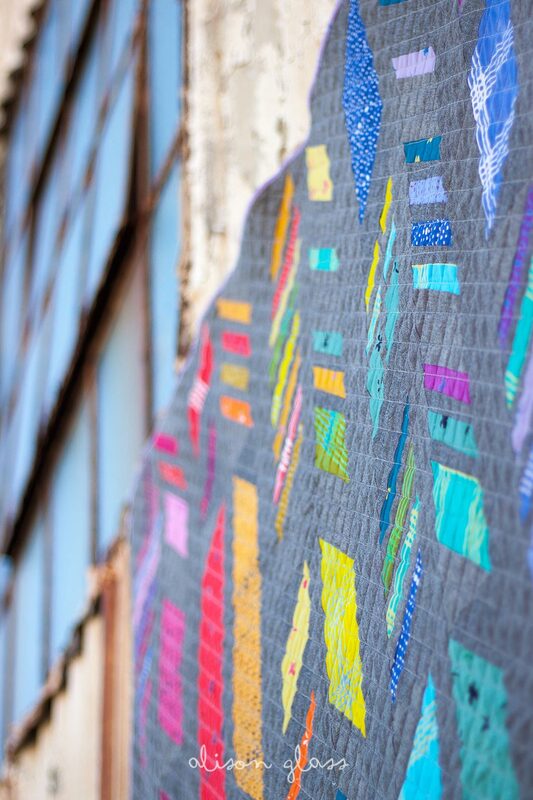 We’ve made quite a few quilts in this style since the release of Handcrafted One and they are always a favorite. 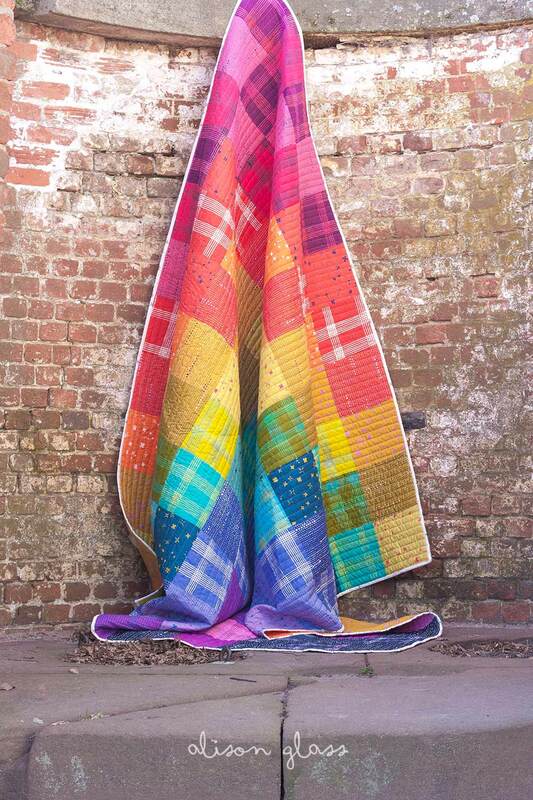 The spectrum available in CHROMA inspired us to make a queen-size quilt, above left, and a throw-size as well, above right. 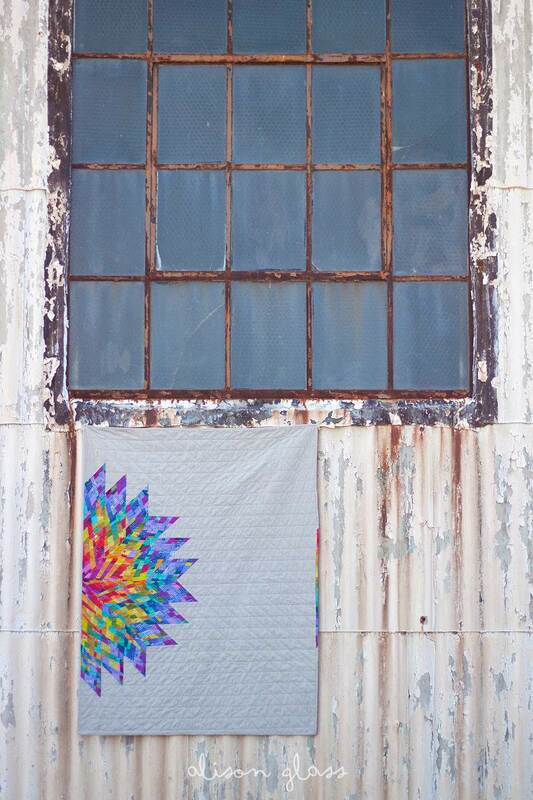 We’ve finally added a PDF pattern in the shop. 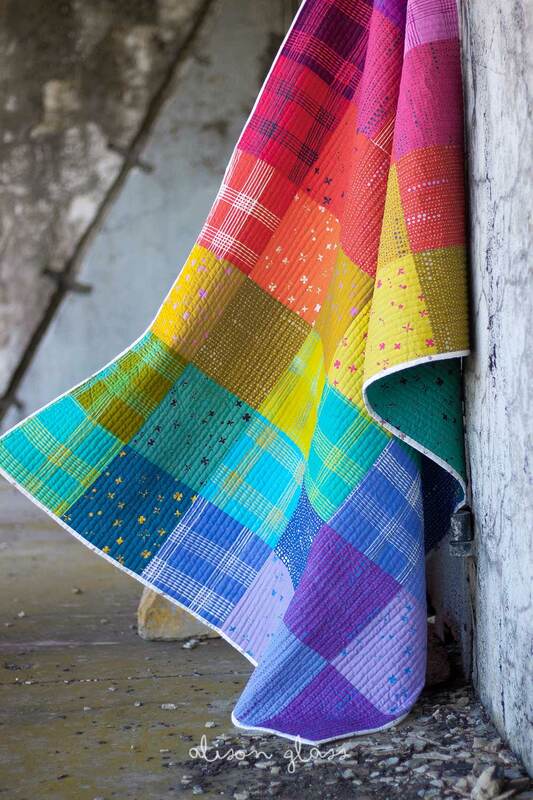 Simply titled PATCHWORK, the pattern includes layout photos of the versions, cutting instructions for multiple sizes and thoughts on color placement options for quilting in general. 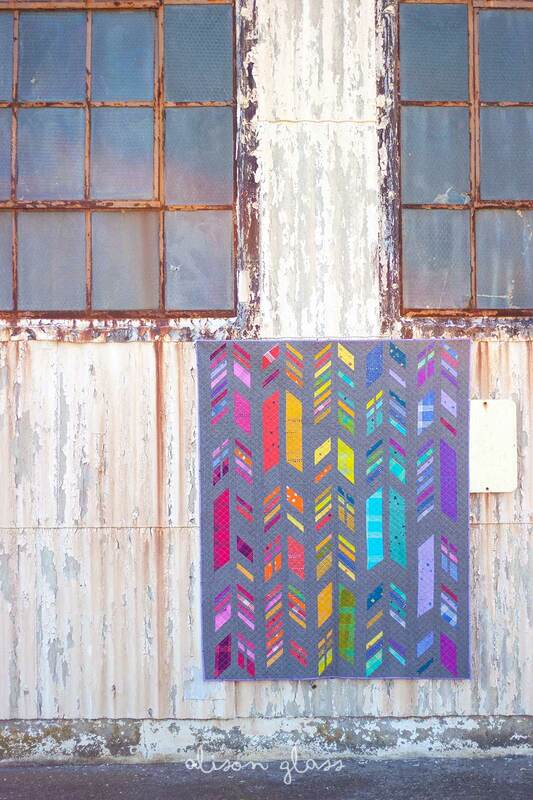 Prism is a Simple Series pattern that seems far more complicated than it really is. 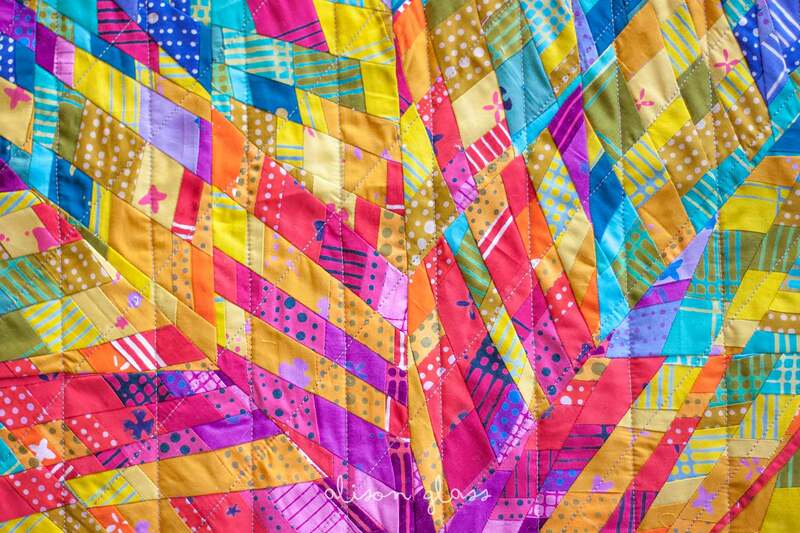 This quilt comes together quickly with it’s simple ‘Sew – Cut – Rearrange’ method of piecing and looks really vibrant in CHROMA. Luminary continues to delight us. 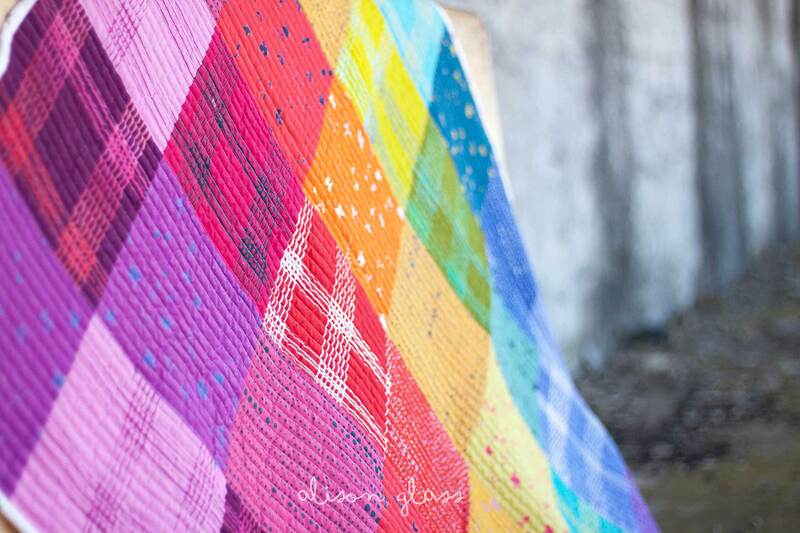 The range of color in Chroma makes it a great fit for this AG pattern by Jamie Swanson. While the pattern looks very complicated, it is a study in sewing, slicing, and rearranging, making it easier than it looks. It also offers a gentle introduction to piecing diamonds, whose angles can be challenging. Cathedral is also from our Simple Series and we really like how it turned out in CHROMA. 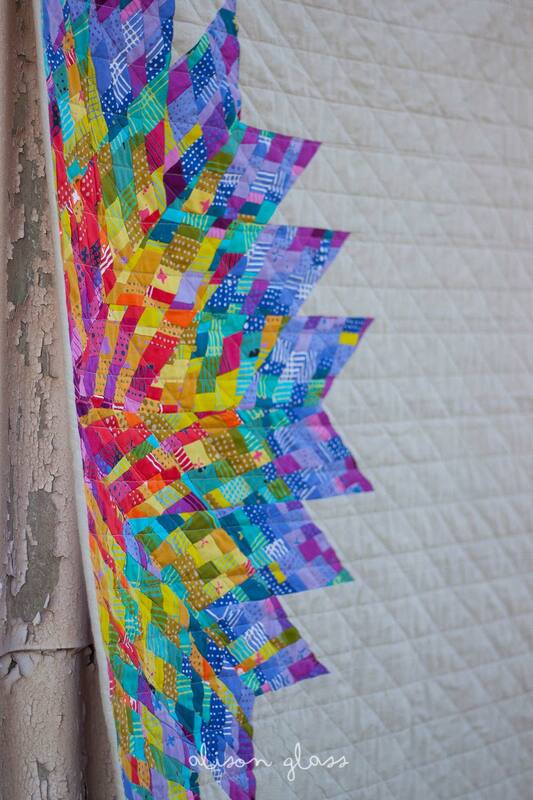 The pattern uses a raw edge applique technique where the edges are stitched as part of the quilting. It is a fun, simple make with great visual impact. We are excited to announce that there pre-cut laser cut kits in the works for both retail and wholesale! It will make the whole process THAT much easier. 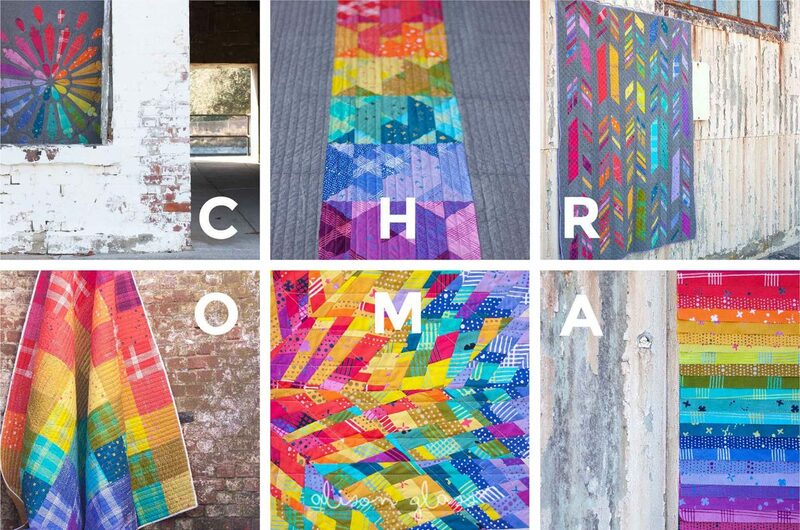 Feathers + CHROMA is a fun new update of our AG pattern collaboration with Nydia Kehnle. 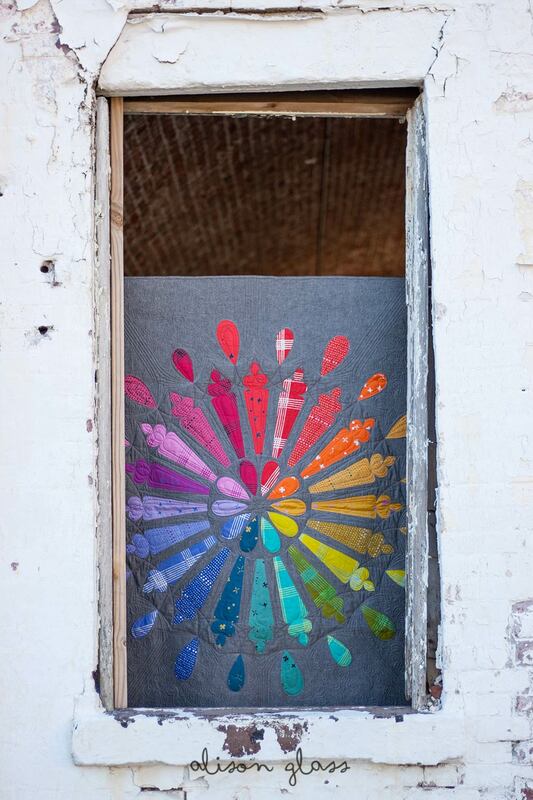 This new version breathes a whole new life in one of our most popular patterns, don’t you think? 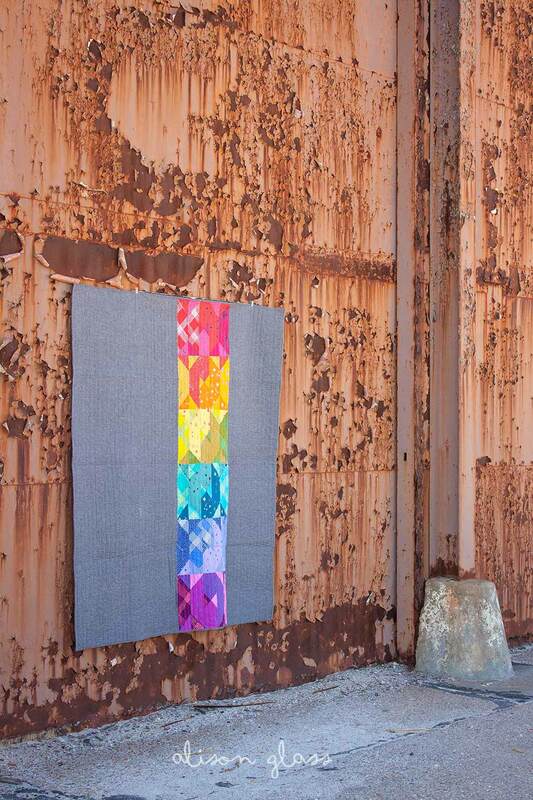 Our Cobblestone quilt pattern was first introduced made up in the Seventy Six collection. 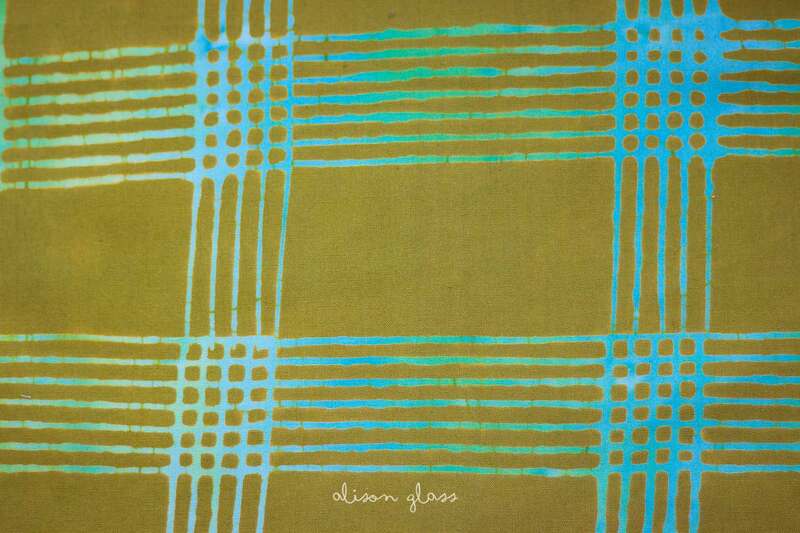 That version shows the way that fabric texture (it had an addition of raw silk!) 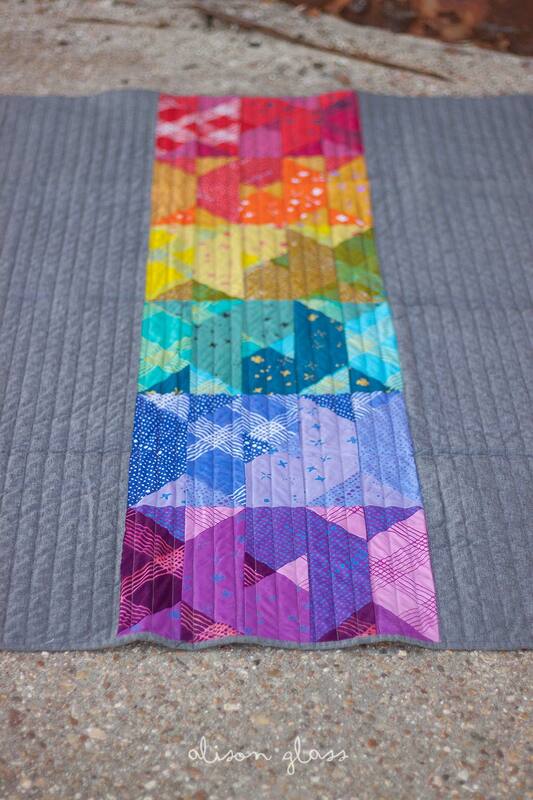 and color can combine to make a stunning quilt. 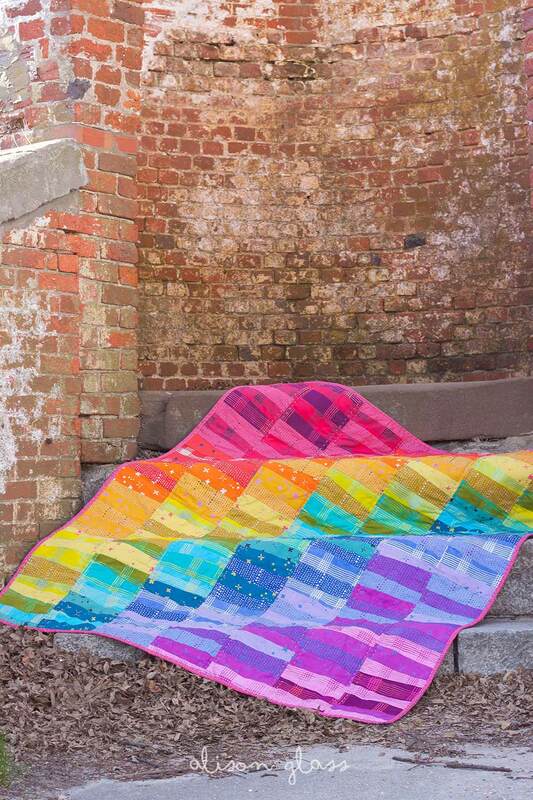 Cobblestone in Chroma uses the full rainbow spectrum and by putting the colors together in a diagonal progression it gives this pattern a whole new twist, and we love it!